For the first time ever, the Accessible Yoga Conference is coming to Germany. This three-day conference is designed to support yoga teachers that want to expand access to Yoga teachings for people with disabilities, chronic illness, seniors or others who may not feel comfortable in a regular yoga class. The conference takes place at the The Seehotel in Rheinsberg, a “barrier free hotel” on a lake Friday, October 19, 2018 from 5:00 pm to 8:00 pm, Saturday, October 20, 2018 from 8:00 am to 5:00 pm, and Sunday, October 21, 2018 from 8:00 am to 5:00 pm. Details and registration can be found here. Yoga teacher, and studio owner Lara Land is presenting at the conference and is here to share more about why this is such an important event. 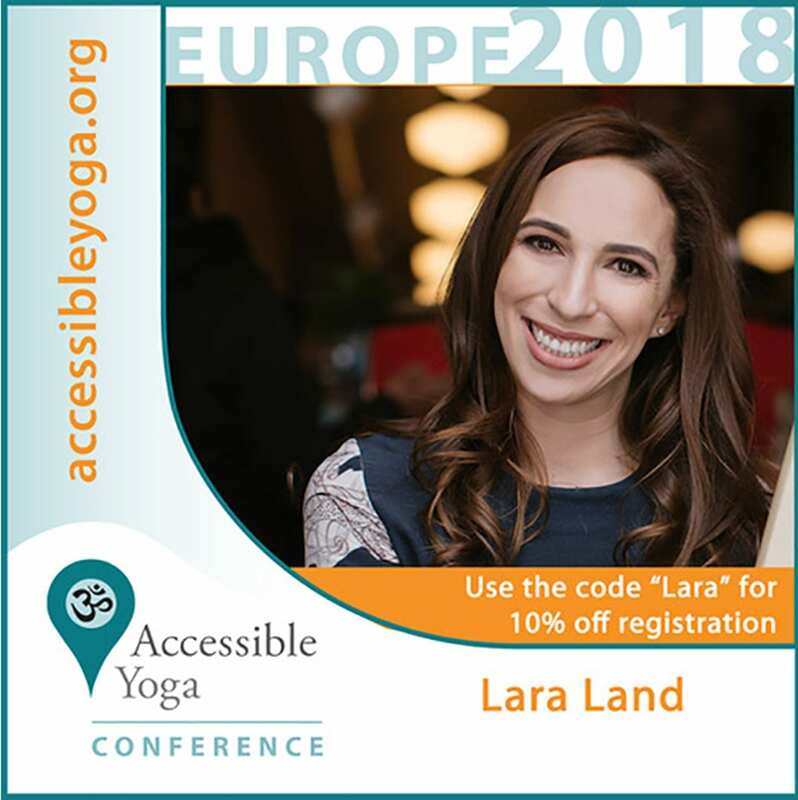 Lara, what made you get involved in the Accessible Yoga Conference? There are so many reasons I wanted to be involved. I’ve been on a personal mission to destroy exclusivity and elitism in yoga for over a decade, so when I discovered there was a whole organization dedicated to openness and inclusivity in yoga, I was immediately interested. I attended the Accessible Yoga Conference in 2017 New York City and was highly impressed. There were so many courses rich with information from those who have had lengthy experiences making yoga accessible to different marginalized groups. I wished I could attend each and every talk twice just to soak it all in. I later met founder Jivana when he gave a one day Accessible Yoga intensive at Omega Institute and felt even more drawn to his mission. What will you be presenting at the Conference? My workshop, Yoga Service; Creating Conscious Community, teaches how we as yoga teachers can open up the practice to go beyond the yoga studio and use it to form lasting bonds between humans. In the class we will discuss what it means to be in yoga service, uncover the hidden tendencies which make yoga feel unavailable to some, identify methods for shifting the dialogue and practices of yoga to include everyone, and establish a road map for creating conscious community through yoga, meditation & mindfulness. As teachers, it is necessary that we understand the objections some feel toward starting a yoga practice, and create a safe space for exploring them as we work together to create an alternative view. Is this work you have done in your community? Yes. 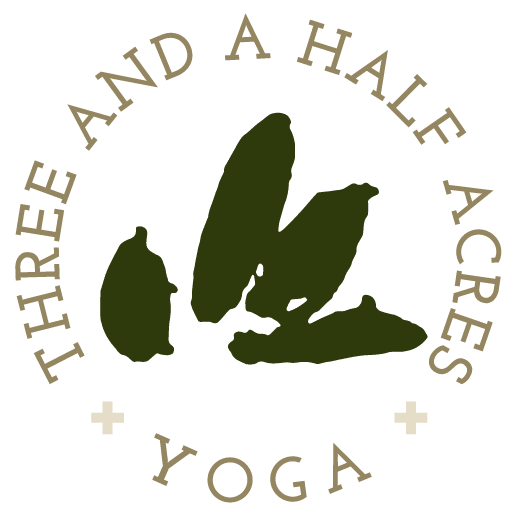 In 2011, I founded Three and a Half Acres Yoga, a non-profit designed to bring yoga to marginalized populations as a tool for healing and empowerment. We partner with community organizations to add yoga to the services they provide. This means teaching in unconventional yoga spaces and using what we have, often just ourselves and some chairs, to share the benefits of yoga. Our classes are for everyone, no matter age, gender, ability, sexuality, sobriety, professional status, or living situation. We are a judgement free organization determined to share yoga with those who are open to receiving its benefits. Sounds like a wonderful organization. Is there anything else you would like to share about yourself or the conference? I just want to say how excited I am to be presenting just outside Berlin, one of my favorite cities in the world. I hope to be teaching more and more in Germany in the coming years and I am so looking forward to meeting new friends there. I’ll be bringing some copies of my new book, My Bliss Book, a daily planner that teaches how to envision and create a life of service to self and others. I can’t wait to share this with the European community. EILEEN FISHER and numerous individual donors.